QuickVIEW | . :: Amigo Software ::. Two Soft Wallboards One for OXO ACD. One for OXO Hunt Group. QuickVIEW works on any standard Windows 7 PC without any other hardware requirement. 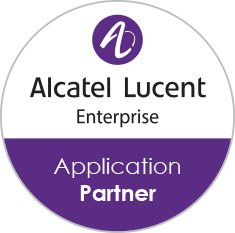 Built exclusively for the Alcatel PBX’s. This Soft Wallboard application can turn a small ACD/Hunt group system into a high-end call centre. It can run on a PC or a plasma monitor and will display all of the common statistics to optimize the performance of your call centre. 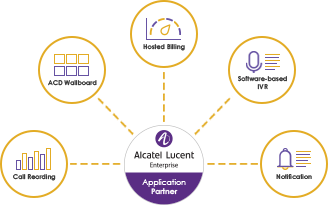 QuickVIEW is scalable and easy to manage solution for BPs, SPs and end-users. Statistics can be reset automatically at night so that stats are set to zero when agents arrive. Provides thresholds that alert your call centre agents by flashing on/off when the threshold is broken. Configuring the Wallboard is easy. You start by creating a queue for each of your ACD or Hunt groups and provide each queue with an appropriate telephone number. Thereafter, you select the queues you have created and choose the statistics you want to display for each queue respectively. Each of your chosen statistics is displayed in the specified tile along with the relevant heading. The Wallboard then monitors the associated telephone numbers and provides with real-time updates on the respective screens. QuickVIEW provides feature rich monitoring and analytics through Rainbow client application on Mobile and other devices. QuickVIEW is a rigorously tested product in ALE AAPP labs. It was first tested and certified in 2016.